As of today, I am officially a comic book creator! 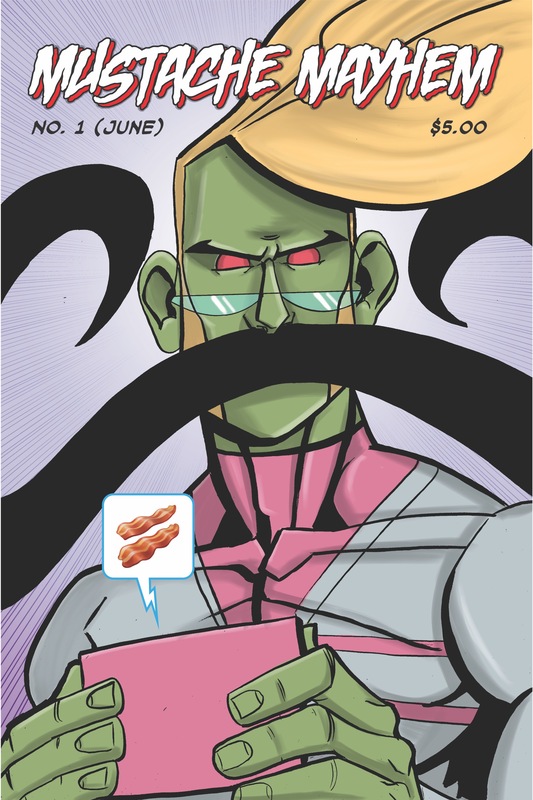 My first comic, Mustache Mayhem #1 came back from the printer today and it looks amazing. I’m so excited to have this comic finished and physically hold it in my hands. There’s nothing quite like that feeling. I will have copies of it for sale for $5 at HeroesCon in Charlotte, NC from June 16th-18th. I hope to see you there! If you can’t make the show, then you can get a copy from my online store by clicking here. I’m also going to serialize the comic and publish it weekly on its own site – mustachemayhem.com so you can read it there as well.